The second season of Sleepy Hollow has brought an unexpected twist in the love quadrangle department: the Headless Horseman has a necklace (more like a neck... less, amiright?) that can make him appear to the wearer as he once was, head and all. But once we saw Abraham Van Brunt, played by Neil Jackson, we also saw the actor playing the formerly Headless Horseman and he's a bit familiar. Of course, it's hard to reconcile the part where his character is holding Katrina hostage and attempting to appeal to her in this more, well, appealing form. Katrina is going along with it for now and gathering intel. Though on the record I'm "over" damsels in distress, I'm at least interested in their weird game. I may be in the minority, but I am so dedicated to Abbie and Icabod as partners, demon-hunters, lovers, whatever, that I'm just glad Katrina has someone else to talk to. Heck, even Abraham is an Ichabbie shipper. Do I spy a redemption arc? Maybe all Death needs is a hug too. I jest. Old Abe was a creep way before he lost his head. He was jealous. He was a sore loser. He sold his soul just because he was about to get dumped. She's just not that into you, dude! 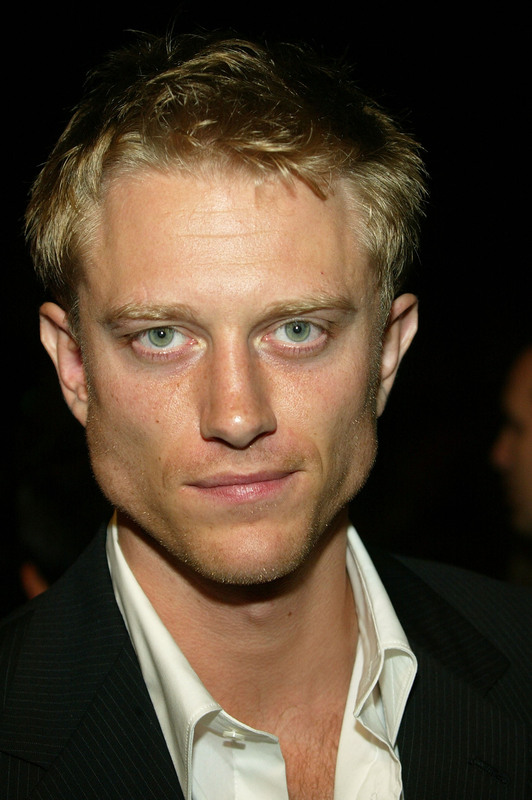 At least the actor behind the head, Neil Jackson, is less single-minded. He has a sprawling career in film and television. He even dabbles in music. He also has a sense of humor. Jackson is possibly best known to British audiences as "Dale" in the Channel Four series Sugar Rush or as an American airman in the ITV mini-series Lightfields. One day, just one day, I'll be able to tell you what "makes" an ITV show or a Channel Four show the way I could argue that Sleepy Hollow is perfect for Fox and would never work on NBC. Maybe, in between seasons of Downton Abbey, you caught the BBC update of Upstairs Downstairs on Masterpiece Classic. If so, you'll recognize Jackson as Harry Spargo, seen above, the chauffeur. Much like Tom Branson on Downton, Spargo had strong political views and fell for the "Upstairs" Lady. Unfortunately, he turned out to be kind of a Nazi. I hate it when that happens. Lady Persie was into it though, so they deserve each other. Jackson has appeared on US television before, notably on ABC Family's Make It or Break It where he played Sasha Belov. Sasha was a former gold medalist and coach to the young gymnasts on the show. Though the Horseman used several stunt doubles already, it's good to know they wouldn't need one for any acrobatics or dancing scenes. Calling all Sleepy Hollow writers, can we make this happen? He was also in FlashForward, one of the many "next Lost"s that was canceled after one season. His various US guest appearances include CSI, Cold Case, and Person of Interest. He also played one of Robin's dates in an episode of How I Met Your Mother. It's a good thing heartbroken Ted Mosby never met Moloch. He and Abe are not all that different. Here's the British actor taking on James Bond in Quantum of Solace, the hitman "Edmund Slate." Unsurprisingly, it does not end well for him. He had a role as a lackey in the 2009 science fiction thriller Push (which has been highly recommended to me and not just because it also stars Chris Evans). Jackson's smarmy looks seem to land him a lot of villainous roles. Unless change is on the horizon, Abraham Van Brunt is just another addition to the list. He also had a small role in the 2010 Woody Allen film You Will Meet a Tall Dark Stranger and played Perdiccas in the movie Alexander. If all that wasn't enough, Jackson sings and creates his own films. You can find many short films and music videos like this one on his Youtube channel. The music video above was directed by fellow actor Andrew Lee Potts. You may recognize him from the BBC series Primeval and the Alice mini-series that aired on SyFy several years ago. Of course, all of this isn't going to make me like Abraham any more than that necklace is going to give him his real head back.